Subscribe to the Owner Forum! Ever since I was a little boy, I have always wanted to own apartments (and be a lawyer and a pilot). Growing up in Nashua, NH, my heroes were not guys like Bobby Orr of the Bruins or Carl Yastrzemski of the Red Sox. Instead, my heroes were the big real estate tycoons of my hometown like Sam Tamposi or John Stabile (At that time, Donald Trump probably had not yet borrowed his first million). When it came time to choose where I was going to college, my dad told me that I could go to any college I wanted to but the tuition checks were going to Boston College, it didn’t take me long to pack my bags and head south. 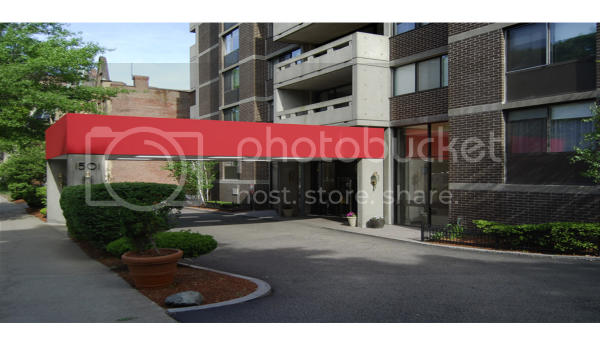 During three of my four years at BC, in addition to dishwashing and working on golf courses, I had a great job for a student as the evening shift doorman at 1501 Beacon, a luxury apartment building in Brookline, MA. I consider this my first foray into multifamily real estate. From my perch at the front desk, I would open doors for little old ladies, accept packages and occasionally deny the process server access. I got to observe the daily workings of an apartment building and more importantly, I watched the owner intently. One day a month, Mr. Rand, the owner, would drive up in his white Rolls Royce Corniche convertible, park it right under the portico, go inside and count the rents, pay his bills and leave not to be seen for another 29 days. It didn’t take me long to know that this was a job that I could handle. Not only could I handle it, but I could excel at it. Unfortunately, upon graduation, like far too many young people, I took the path of least resistance and joined the family business of selling insurance. As I always say, if you have a child graduating from college and is desirous of entering the insurance business, there is something very, very wrong with that child. Selling insurance is a fallback position. Nevertheless, there I found myself, starting my career alongside my father. Cold calling. Sitting at kitchen tables talking to newlyweds. Coming home late at night, not having sold anything. This was definitely not the life I had envisioned for myself. Then, one day after several years in the business, my father sent me to go see one of his clients, a multi-millionaire multifamily real estate investor. “Then, why aren’t you doing it?” John responded. Of course, I had every excuse in the book ready to go. No money, no time, new family, new mortgage. I’m sure you have heard them all before. You may still be using them yourself to justify why you are not where you want to be. I grabbed the book like they were the keys to the kingdom, went home that night and placed that book gently on my bookshelf with all my other real estate training programs (you know what I am talking about, like the home-study course from Carelton Sheets that you probably bought at a yard sale like I did) and did what I always did, went back to work doing what I hated doing and made my daily excuses why I could never be like John – The Millionaire Chicken Farmer. Fast forward several years. I had gone back to law school, passed the Bar, and started my own insurance administration business (yes, even after becoming a lawyer, I couldn’t get away from that business). For seven years, I worked day and night, trying to make clients happy, covering payroll for 35 employees and many times watching my employees earn more than I did. Many business owners and entrepreneurs know exactly what I am talking about. Does that sound like you? That one thing happened to me that many people hope for and some have already achieved. That moment in your life when you sit back and take an accounting of what you have done and wonder what you are going to do for the rest of your life. That’s right . . . .
And I realized, I hated my life. I hated what I did. I could not keep going on the way I had been going. Know the feeling? Maybe you are feeling it now. I could not envision working the next twenty-five years doing what I was doing. I would live an unfulfilled life. Probably one of the greatest sins of a person’s life. 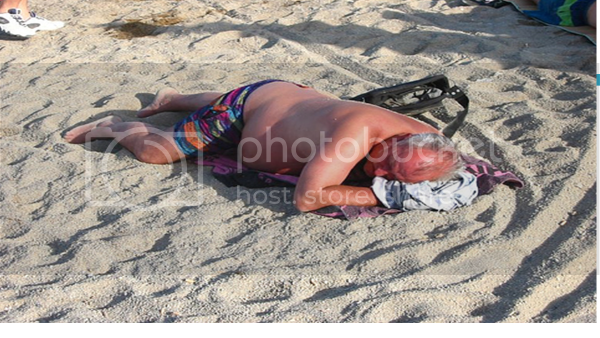 I thought that if I did not make a drastic change, I may end up looking like this guy someday. So my lovely wife asked me what I wanted to do and I told her I want to do what I have always wanted to do. Fly planes? She asked. I said in good time but right now I want out of the insurance business and I want to own apartments. She said then let’s do it. That’s when I went after it like a starving dog on a meat wagon. I devoured every educational training there was and went to every meeting on real estate and took every course available. I spoke to anyone that owned apartments, took them to lunch and picked their brains. By the time I was done, I was ready (or so I thought). 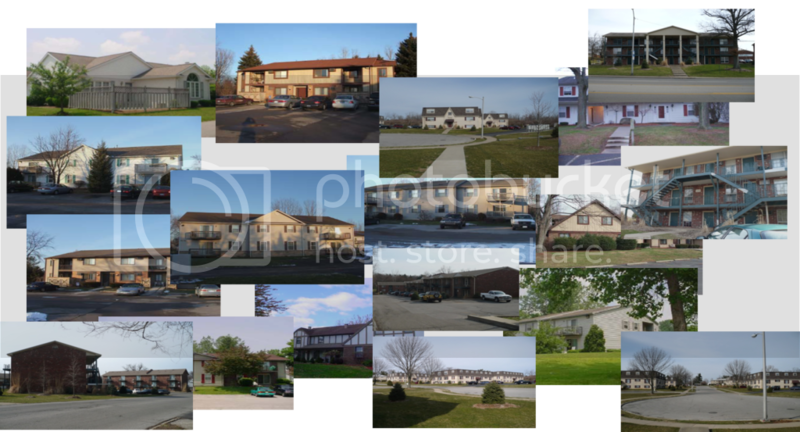 Over the next ten years, I purchased over 800 apartment units all over the country, acquired over $20,000,000 of multifamily property and started my own property management company. I purchased great properties and purchased some that I wish I had never seen and hope never to see again. I owned A, B C and sometime D-class property (it depended upon the day when you asked me). I learned so much about all aspects of the multifamily business that now new investors were taking ME to lunch. As I grew this business, I kept hearing the voices of those multifamily gurus that sell those weekend bootcamps or home-study courses that you have probably purchased at yard sales yourself – or sold them at yard sales. You know who they are. They try to make you think all you have to do is buy an apartment building and you are set for life. They say things like . . . . I kept hearing those voices and thinking to myself . . . . how do those guys sleep at night? Now, don’t get me wrong. I absolutely love the multifamily investing business. I don’t think there is a better business in the world. What business pays you over five different ways (Coaching Call #32) from just one property? But I could never sit here and tell you that this a ‘passive’ business. Even sitting and watching your stock portfolio takes action. This business is exactly the same way. You take your eyes off of it for a month and you will have to get in there and fix things. That’s just the truth and if that bothers you, STOP READING NOW!!! If that’s OK with you and you understand how business operates – then you are the type of person I enjoy working with. So how did I become the Multifamily Attorney? And why am I the most sought after coach/consultant/mentor/attorney to new multifamily investors all over the country? It started when I was asked by several REIA clubs to come and talk about multifamily real estate investing. I would fly in and share the good, the bad and the ugly with all the members and answer questions then head on home. I was that type of speaker that had nothing to sell and would just come in and educate. During one of those meetings, I was approached by a real estate investor who had paid $10,000 to a coaching firm out of Florida to train him on how to buy apartments. It was not going well. This firm had made promises that they would get him into a multifamily deal and for the fee of $10,000, they would split any ‘profits’ 50/50 until the coaching firm received $250,000. Hey, that doesn’t sound like much. I mean, it’s multifamily. Profits are HUGE. After six months he had made a grand total of zero offers. Now, all my students know how I feel about making offers. They can repeat my mantra verbatim – “If you are not making offers, this is nothing more than a very expensive hobby”. The investor (who ultimately became a friend of mine which is what usually happens with my clients) asked if there was anything that I could do to help him get out of the contract and achieve his goal of owning apartments. At the time, I was not even practicing law and I was not looking to hang my shingle as an attorney. I was working on owning and operating my own portfolio which, by that time, had grown considerably. I told him to send me the contract and let me take a look at it. The next day, after reading the contract on my flight home, I called him with some very disturbing information. 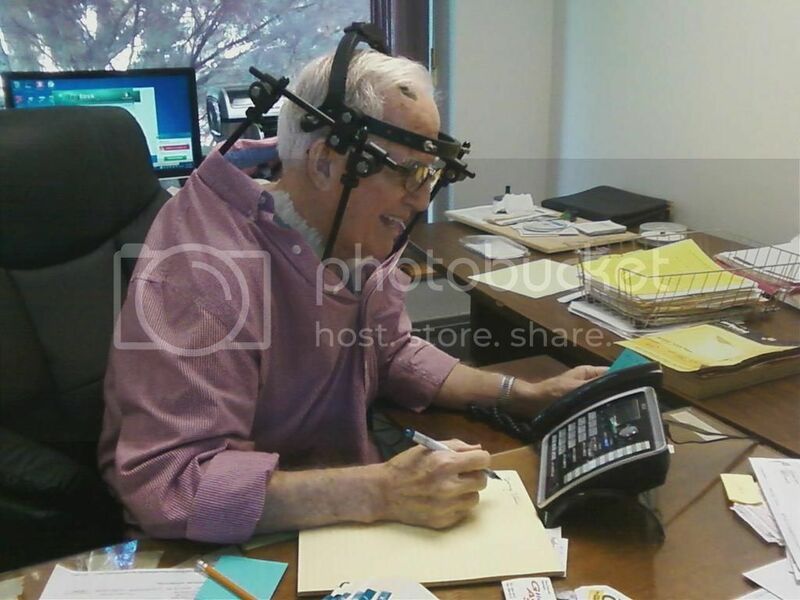 You see, the contract that he signed with some real estate gurus (ONE OF THEM WAS AN ATTORNEY HIMSELF!) said that the gurus got to keep 50% of all ‘profits’ (are you wondering why I keep putting the word ‘profits’ in quotes? Read On!) on all real estate deals he did. He told me that he understood that and was fine with that. I said, you didn’t read the contract did you? That’s when he admitted for the first time that he just signed it and gave them a $10,000 check. Had he read the contract, here is what he would have realized. First off, he owed them fifty percent of all real estate deals. When I say ‘all’, I mean ALL! For example, if he inherited that house that his grandfather built with his own hands during the Great Depression when his grandmother died and sold it, then the guru gets half! That’s right. You read that correctly. Half of EVERYTHING!! Not just multifamily. Second (and this is why he could never own multifamily), is that the gurus (because they are so smart when it comes to multifamily), said that they got to keep fifty percent of the ‘PROFITS’. Then the coaching contract went onto to define ‘profits’ as, get this, “Gross Rent”. Seriously? Gross Rent is Profit? Obviously they have never owned and operated a multifamily property in their lives. Try to explain to your lender that fifty percent of every dollar that comes in automatically goes to some guy that you signed a coaching contract with. No lender would ever give you a dollar! That’s when I realized that this type of thing goes on all the time. These so called experts are more concerned with making sure your credit card clears than they are with helping you achieve your goals. I started thinking. What if, instead of working with people that are not looking out for your best interests, you put an attorney on your team, one whose specialty is nothing but multifamily investing? How successful and confident would you be if you knew that you had a zealous advocate looking out for your best interests throughout the entire acquisition process? The Multifamily Investing Academy and the Multifamily Attorney was born. Just to make sure I disclose this, the Massachusetts Board of Bar Overseers requires that I inform you that I am an attorney, I am not YOUR attorney, HIRE an attorney. That’s right. Even though I am licensed to practice in the Commonwealth of Massachusetts, I am not licensed in any other state. That means when we work together, I will look act and feel like an attorney by the way I conduct myself but I legally cannot represent you as your attorney. That is why the Owner Forum is a consulting service. Every step of the apartment acquisition process, from the first contact with a broker to the moment you sit at the closing table, everyone is always throwing hoops, roadblocks, obstacles, speedbumps, rain delays in your way to make it harder for you to get the deal done. Hey, if this was easy, everyone would be doing it. That’s what I do for my students. I know what the obstacles are and I work towards removing them on your behalf. What roadblocks am I talking about? Let’s say that you have found a very promising multifamily opportunity and you decide, after working very closely with me, to make an offer. The broker says that they will only present your offer with a Proof of Funds letter attached. Now for many new investors, this would end their dreams right here, right now. But not for members of the Owner Forum. We help you determine exactly what will be needed and design the solution for you. If necessary, we will use our resources to get you a Proof of Funds letter up to $500,000. Obstacle overcome. Not exactly. Now the broker wants to see your real estate resume. Do you have one? Well, if you don’t, no worries. We will introduce you to potential partners who will satisfy ANY brokers resume requirements. Hey, you can even use mine (and it’s not too shabby). Then, the offer gets accepted and the purchase and sale agreement gets signed and you need to put up your earnest money deposit. What happens if you don’t have funds available, or accessible (or you just don’t have the money)? The members of the Owner Forum have access to the MFIA Earnest Money Deposit Program. This is where, under certain conditions, you can have a one-time deposit of up to $50,000 for your multifamily deal. That’s right. As a client of mine, I will introduce you to Earnest Money Deposit partners who will fund your deposit requirements and help you get the deal under contract. (I’ll give you more details as to how that works when you sign up for the program). What other coaching/consulting/mentoring program can make that claim? What other program does that for you? What’s the next hoop that you have to jump through that the gurus never tell you about? Remember, in their minds it’s all about the tennis, travel and Tahiti. (Give me a break). Well, now you have to get approved for the mortgage. Have you ever purchased an apartment building before? Do you have a personal balance sheet that shows your net worth is equal to the purchase price of the property? Do you have cash on hand equal to one year of mortgage payments? Do you have previous experience of running multifamily properties? If the answer is no to these questions, and it probably is, then you will most likely not qualify for a multifamily mortgage. Another roadblock. Probably one that you feel is insurmountable. I can help get you covered. I can introduce you to my friends and clients in this business who know what you are dealing with and can easily satisfy all the requirements that any lender (including the big boys) will need to approve the mortgage. If they like your deal, they can help get you qualified for the mortgage by acting as, what we call, Key Principals. They will partner with you to bring you in for a landing. As you begin to grow your portfolio, I may someday call upon you to do the same thing for other new investors. Pretty cool isn’t it? How successful would you be if you had all these resources on your side as well as direct access to the Multifamily Attorney? When I first started helping students buy multifamily properties, I tried many different approaches to creating the right program that solved their most pressing problems and got them across the finish line of owning their first multifamily property. After speaking at many conferences and seminars for other real estate trainers and investment clubs, I was approached by several sales people of real estate educational courses and was told that I was great. I was the best! I could easily charge upwards of $30,000, $40,000 even $50,000 for annual coaching services (that’s right, for twelve months and twelve months only. Then you would have to re-up). I couldn’t believe it. My problem was, I started to believe it. They also told me that I could design the program so that I had very little interaction with my students. I could limit my involvement to two thirty minute phone calls per week – FOR ALL MY STUDENTS! Unless it’s an emergency and then you get one additional 10-minute phone call per month. They told me that this is normal for the industry and I should get on board and be like all the others. Does any of this sound familiar to you? Have you heard of programs like this before? Have you signed up for a program like this? Can you imagine if you were in the middle of a deal and you had to speak to your attorney right away because the Seller is proposing that you change the terms of the purchase and sale agreement two days before the closing and you are trying to figure out how that may hurt you but you had already used up your allotted ‘Emergency” time with your coach? Can you think of anything more outrageous and frustrating than that? I can tell you from personal experience, if you are in the middle of a deal, and you need help, you had better be able to pick up the phone and speak to your attorney or you may end up doing something that you will regret. Why else would you be paying them? So, truthfully, I tried it. I was suckered in by one of these seminar sales people and I conducted some hotel ballroom-like seminar sessions in some of the biggest cities in the country. I would teach for the weekend and she would conduct ‘strategy sessions’ with everyone in the room. Do you know what a strategy session is? You have probably had it done to you if you have ever gone to one of these national real estate weekend seminars. It’s when a ‘salesperson’ takes you out of the room, has you fill out a form, sits you down to discuss what your real estate goals are and somehow finds out how much available credit you have on your credit card. The “strategy” ends up being who can they get in the room to pay the $30,000, “31-Day No Money Back” (yes, you read that right) fee for the coaching program that is taught by someone that has gone through their program but who in actuality has never done anything as it relates to owning property. I hated that process and the program and it turned out to be a disaster. The only one who made money was the salesperson and I swore to myself that I would never let someone else control how I conduct my business with my clients again. So to help me figure it out and get my coaching/consulting/training/mentoring program on track, I called my Dad – the greatest man I know. My father, as you already know, was an insurance agent and when he died at the ripe old age of 82, he had one of the largest Medicare insurance agencies in the State of New Hampshire. At his funeral, the U.S. Senator from our state and the Mayor of our city eulogized him. 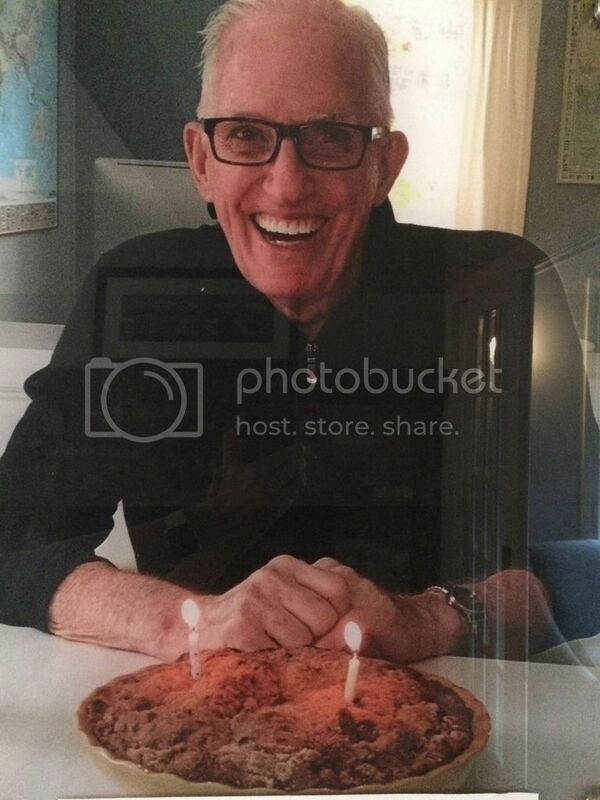 He had over 3,000 clients who loved him because he took very good care of them. When they called, he answered – EVERYTIME! 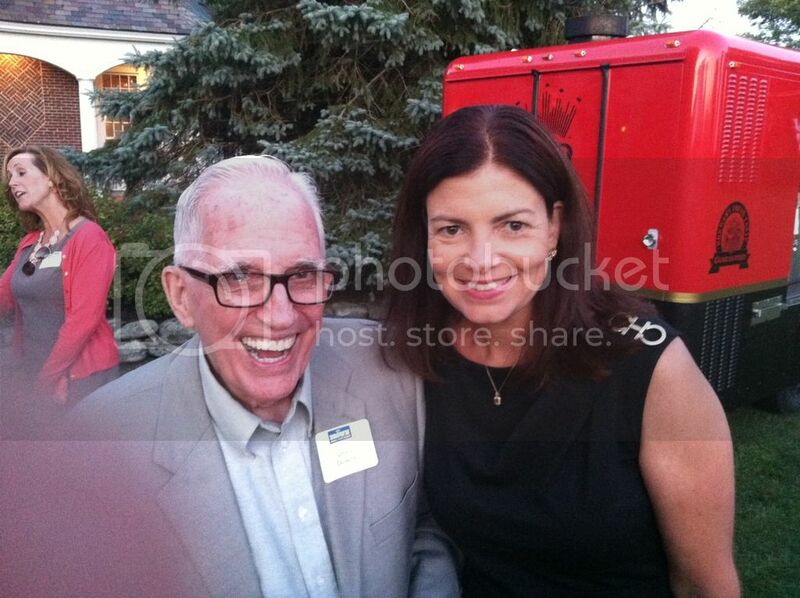 This is a picture of him with United States Senator Kelly Ayotte. I went to a fundraiser for her with my father and when we got there my father sees her across the room and yells "Hey Kelly!" I looked at him and said 'what are you doing?' Senator Ayotte turns around and sees my dad and yells back "Hey Lenny!" like they were old friends, which it turned out they were. My Dad had known her since she was a young girl. One time I asked him what would happen if a client purchased a product from him last year, or five years ago for that matter, and called him this year, would he take their call and provide them with service. He looked at me like I was crazy and said of course he would. My Dad took great care of his clients. Take a look. 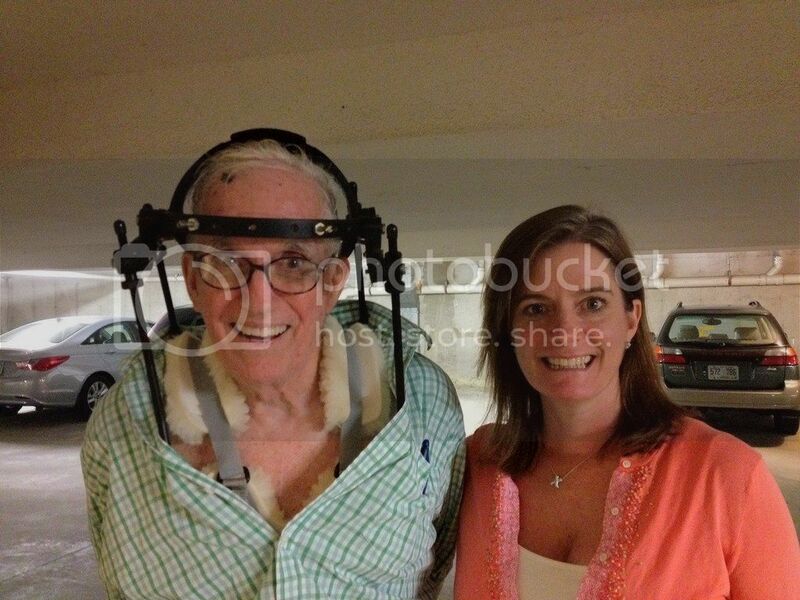 Here he is with my sister after getting out of rehab for a broken neck when he was climbing a rain-slicked hill on a photography exhibition in County Mayo, Ireland at the age of seventy-nine years young. As you can see, he went right back to work taking care of his clients. 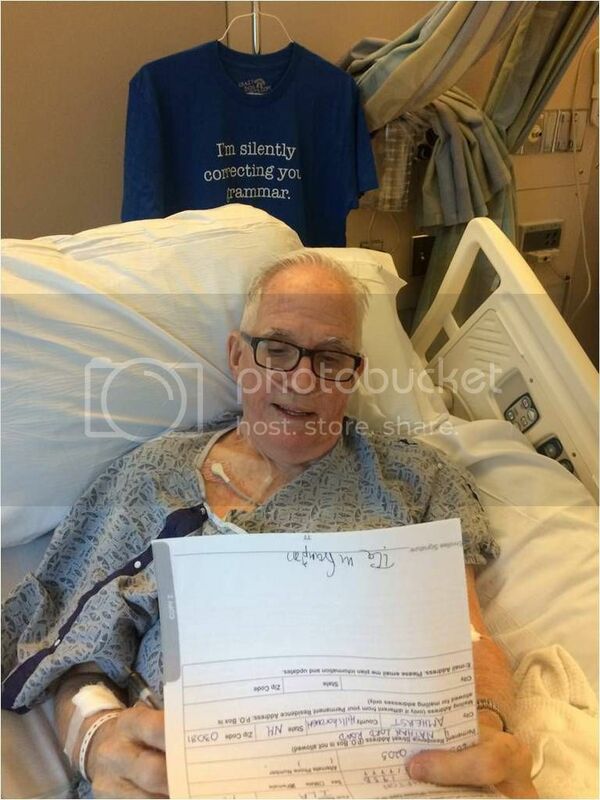 Here he is below two weeks before he died, doing what he loved to do, taking care of a client. Believe me, he didn’t need the money. He just loved helping people. That’s when I decided that I needed to change the way my business was conducted. I wanted to be more like my Dad and run my business for my clients the same way my Dad ran his business. So, I sat down with my wife, also my business consultant, and we figured out what I loved about the business and what I never wanted to do again as long as I lived in the business. Here’s what we came up with . . . . .
No more sales people. No more strategy sessions. No more twice a month phone calls to clients and one emergency call. No more $30,000 coaching programs that leave new investors broke and you still have no property to show for it. From now own, I treat my students like they were clients of my law firm. They get access to me when they need it as soon as they need it. They pay on a monthly basis with no HUGE up-front fee (and no retainers). That means that I have to prove my value to you every month. Otherwise, I don’t want your money because I don’t deserve your money. I will teach you the RIGHT WAY to buy apartments. The training that you will receive is like nothing you have ever had before. It is not one of these get-rich-quick-training sessions. It is not a superficial, feel-good rah-rah class that makes you think that buying and owning and operating multifamily property is easy. It is the truth! Unvarnished! I tell it like it is. I have to. I need to protect you from bad deals. I need to make sure that you know I have got your back. That’s the type of relationship I have with my students. Just like my Dad had with clients. After working with thousands of students over the last ten years, I know I have figured it out and it is working perfectly for everyone. Check it out so you can see what I mean. Join the Owner Forum Today! When I was teaching all over the country, I would start my presentation, look out over the audience and wonder why are these people here to listen to me talk for the next hour, day, weekend? What is motivating them to be here? So I would ask this one question. Where do you see yourself in the multifamily business in five years? No matter where I go, these same goals are always articulated by the investors in the crowd. Then I get the one goal that always makes me smile . . . .
Wow! That’s cool! I love it! There’s always that one in the crowd. But then I ask them the toughest question ever . . . . They never know the answer. They love the sound of the goal but they have no idea even the first step to get started. Then I realized that this is why I am the expert. I know how to do it and the answer is a lot easier than they could ever imagine. It’s really very simple. And you have heard this advice many times! In all aspects of your business and life, you have heard this. That’s it. That’s what you have to do. To own 1,000 apartment units in five years, all I want you to do is to set a goal this year of buying 20 units. Nothing more than that. Buy twenty units this year and focus on running that property well. Become an expert in how to run that property professionally and build a sound foundation for your business. Then, in year two, your goal is to double your portfolio. That means buy forty units in year two without selling your first twenty. Then rinse and repeat every year for five years. By the third year, you will be generating enough revenue to quit your job and pay yourself a property management fee. At that point. Congratulations, you are in the business. The greatest business in the world. And by the fifth year you will own over 1,000 apartments and have a business that anyone would be proud of (that is when I want you to think back on how it all got started for you. Reading this long, sales letter on my website). But start small. Build wisely. Stay on track. You can do this business. It’s actually a lot easier than you think. Then you MUST be in the Owner Forum. What Will You Receive as a Member of The Owner Forum Program? In order to provide the right level of service for my students, I have created a program based upon the individual needs of the investor or the investor group (yes, that’s right, if you have an investor group, then you all are members under the same membership log-in). You will be drafting offers and lining up private money within weeks of enrolling and the best part of the Owner Forum is – I will be looking over your shoulder every step of the way. You can’t get any more confident than that. No better course on the internet today to learn and no better program on the internet today to get you started buying property than the Owner Forum. 1. Monthly Training Classes – The Owner Forum program includes twelve monthly on-line, video training programs that will take you from not knowing how to get started straight through to the due diligence and closing process of the transaction. Here’s the difference between both programs. With the Owner Forum, you get access to all twelve videos as soon as you sign up. 2. Private Money Training – I am a lawyer. I am not your lawyer and I am especially not anyone’s securities attorney. My specialty is in multifamily real estate transactional law. I am not qualified nor do I ever want to give legal advice as it relates to securities law. So why do I feel qualified to teach on raising private money? Because this training has nothing to do with securities law. It is everything you need to know about raising private money for your multifamily business. How to approach potential investors. How to speak to investors with confidence. How to write your offering memorandum so you know how much of the deal you keep and how much you can sell off to your investors. This training is NOTHING like the private money courses you see on the internet. 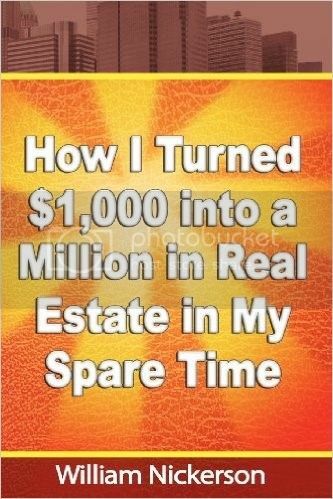 This is based upon my personal and professional experience as a multifamily investor and how I successfully raised millions of dollars in private money for my deals. I will share with you the good things that I did and also the things I wish I had never done (That’s the coaching call entitled The Biggest Mistakes I Have Ever Made in This Business). Owner Forum members get access to this training on Day One. 3. Weekly Coaching Calls – Every Monday evening from 7:00-8:00 PM ET all members of the Owner Forum get on a live video call with me. You can listen on the phone or you can interact via webcam. This is a great way for all my students to connect, ask me questions, get updates on deals other students are doing or sometimes just sit back and listen to me teach about a particular topic that has come up over the last week. It is live. It is only a half hour and it is me. You will see my pretty face to prove it. 4. Due Diligence Course – When you sign on to the Owner Forum you will get instant access to my four-part video training series on the Multifamily Due Diligence Program. This is a $997 value that all Owner Forum members get on Day One. If you are going to be making offers and getting them under contract, you are going to need to know how to handle the due diligence process. Believe me, this course is the best out there. It includes training in the Legal, Financial and Physical due diligence process. 5. Doug Rutherford’s Landlord Cashflow Analyzer (“LCFA”) – Over the years, I have created cashflow spreadsheets for multifamily acquisition analysis for myself and my students. I have even created them for one guru who, to this day, is still selling it to his students. When I started working with new students I realized I had a choice. I could develop my own software that did everything I wanted it to do or I could search the marketplace and find software that had already been developed. I was teaching one weekend in Washington, DC when one of the attendees who happened to be a CPA recommended the Landlord Cashflow Analyzer. When he opened it up for me, I realized that I had found what I was looking for. The LCFA is by far the best program on the market today and all Owner Forum members get a complimentary copy when they enroll. In the Resource and Archive section, I have put together a nine-part video series that shows you exactly how I use the software. It’s great stuff and will launch your business the RIGHT WAY! 6. Multifamily Offer Writing Workshop – During one of my early live coaching calls, I was showing my students how I go from a property package to an offer in under an hour. Some students had said that they don’t have the time to analyze two properties per week. When I was through, I asked them if the session was helpful. The response was a resounding YES! I asked them if it would be helpful if I did this training once per month. Once again, it was overwhelming. That’s how the Offer Writing Workshop was born. When you enroll in the Owner Forum, you will get access to over a year’s worth of Offer Writing Workshop video instantly. This training will show you how I make offers. How I analyze a broker property package. How I calculate the numbers. How I come up with a purchase price and how I use the right offer template to put pen to paper and get it to the broker. This training completely demystifies the process and will help you get up and running quickly toward getting to that first deal. 7. Resources and Archives – On Day One, all members get instant access to the Dobens Law, LLC Resources and Archive site. This includes all the documents you will need to get started in this business. It also includes video interviews, video training, template documents, forms, and other tutorials I couldn’t categorize in the other areas of the membership site. The nice thing about it is that if you don’t find what you are looking for, let me know. We may have already created it. Hey, membership has its privileges! 8. Earnest Money Deposit Program (“EMD”) – Remember how I said that the multifamily business is a hoop-jumping business. One of the first hoops you have to overcome is the need for earnest money. For many new investors this is a daunting task and one that many look at and say, forget it, I will never be able to get my first deal done. I know how you feel. I’ve been there. That is why I have started the EMD program. As a member of the Owner Forum, you will get access to the Earnest Money Deposit program. This will entitle you to up to $50,000 for a deal that you are working on at essentially hard money rates. But there are strings attached. You must use the Purchase and Sale Agreement approved and used by Dobens Law (you can find it in the Resource and Archive section) and Dobens Law, LLC Client Funds Account will be the Escrow Agent for the funds. When you have a deal under contract and need the funds, we will go over the specifics and explain in greater detail how it works. 9. Access to Key Principals – This is what the get-rich-quick scheme gurus never tell you. After they tell you to ‘go big or go home’ they send you out on your way to make offers on properties with 50, 100, 200+ units. Think about that. You have never been in this business before and now you are looking to acquire multi-million dollar properties? The banks will tell you – Not So Fast! When they do that, you know you are never qualifying for a multifamily mortgage. Well, I guess your hopes and dreams have just been dashed and you can call it a career. Not so fast, I say. This is nothing more than another hoop that the naysayers put up on your path to success. Don’t let them stop you from your dreams. I have it covered for you. When you find yourself in that situation and you are a member of the Owner Forum, I will introduce you to clients of mine who can qualify as a Key Principal, this is a person in the bank’s eyes who has a solid balance sheet, net worth and experience in multifamily such that they can help you qualify to get approved for the loan. My students get access to partners who can help them achieve their goals. Did your guru tell you that? 10. Direct Access to Charles Dobens, Esq. – This is a very fast moving business. When you are in the middle of a deal or even if you are just trying to get an offer on the table, you need to speak to your coach/consultant/mentor right away. I could never understand these real estate coaching programs that only gave their students access on a limited basis. 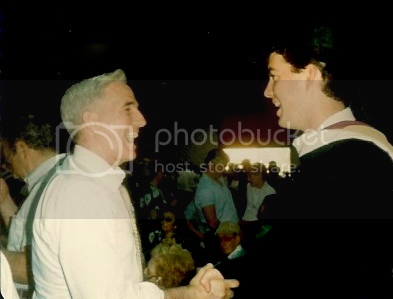 I knew that when I was involved in closing a deal, I was on the phone with my attorney all the time. I could not imagine if I could only speak to him twice a month for a half hour. I would have screwed up so many parts of the transaction! That’s why members of the Owner Forum get direct access to me when they need me. That’s right, you pick up the phone and call me, you text me or you ‘Whatsapp’ me. If I can’t answer right then, I will call you back as soon as I can. Many people have told me I am crazy to give this type of access. I think I would be crazy if I didn’t. What type of coach would I be if I didn’t take care of my clients when they needed me most? Remember, I am using my Dad as a role model for my business. That’s why there is no comparison to my program in the industry. 11. Whatsapp – I absolutely love this app. One of my students recommended it when I was looking for a way to communicate with all my students. Download it to your smartphone, send me a text message and I will add you to the MFIA Owner Forum group chat. You get to meet all members of the group (that’s right, this is a great community of like-minded people so why wouldn’t I want my students to talk to each other). Join the conversation. Find out what other members are doing. Find out what’s working and what’s not working. Meet new potential partners and most importantly, get active. Need a Proof of Funds letter? Got it. Need Earnest Money to bind your deal? Got 'ya covered! Bank says you lack experience to qualify for a multifamily mortgage? No problem - we have people. And the biggest one of all - You don't have down payment funds to make the deal happen? WE CAN HELP!!! Here's what one of my clients emailed me recently . . .
"I'm watching the Part One Overview & you just gave me a lunch break. This stuff is awesome. So much information! Like I said before, I have taken many courses and none of those gurus have ever gone into the kind of depth that you do. For instance, they would mention that there is a due diligence period while you're in contract. No in depth explanation.They just glossed over it. Until I got into your class I had no idea that the due diligence consisted of three parts. I didn't really know what was the trailing twelve. In other words, it's all beginning to make sense now. Oh, I still have a long way to go but I'm now more confident. The pieces are beginning to fall into place. You know that in order to do this business, you are much better off working with someone that has owned over $20,000,000 of multifamily real estate, worked with thousands of investors on thousands of deals totaling in the Billions (that’s with a ‘B’) in property values, owns his own property management company, has successfully coached multifamily investors through the minefields of their first deals for years and treats his students/clients like they were clients of his law firm (as well as friends). There truly is no other coaching/consulting/mentoring program available in the market today for multifamily investing that gives you this level of training, hand-holding and confidence to achieve your goals. Want me to prove it? Pick up the phone and call Trump, Kyosacki, Lindahl, or any other one of these national gurus. When you get them on the phone, ask them personally about their coaching program. Ask them if it includes all the things listed above. Then ask them if you will get personal access to them after you sign up. Now, after you have spoken to them (remember, I said only after you have spoken to them), then call me on my cell at 781-987-4765 (when the phone doesn’t ring, I’ll know you were not able to get through to them). If I’m not available, just leave me a message and I will get back to you when I can. But I will get back to you. (Seriously, that really is my cell phone number. If you do have any questions, do feel free to call). Let me close with this story and this may help to explain why my students and their success are so important to me. As a brand-new life insurance agent, right out of college, my sales manager was a great guy by the name of Tim Miller. Tim had been a very successful agent in his own right before making the switch to management. I remember asking him one time during a one-on-one sales meeting, why do you want to be a manager? Why didn’t he stay in sales and be in control of his life and not have to answer to anyone? I can remember his answer thirty years later. He said that he loved helping new agents like me succeed. I thought he was pulling my leg because as a 22-year old, working-for-the-weekend guy like myself, I could not understand or appreciate how helping someone else achieve their goals could make them feel any sense of joy. I was coming from a position of selfishness. Fast forward thirty years, now I totally understand what he meant. I absolutely love helping new investors achieve their goal of owning multifamily property. I feel as though this is a calling for me. Are you ready? I am. Let’s do this. I look forward to hearing from you and working with you to make your dreams happen. PS. I did finally get to fly! Here I am after my first solo! Register Now, and Get Started Today! © 2019 Dobens Law LLC. All rights reserved.